The Fastback Model 11 is a high-production desktop binding Machine that binds documents from 3 to 350 sheets. 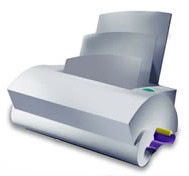 Quick, easy and economical what more do you need, create or edit your documents in seconds. The Fastback Model 11 was designed, engineered and manufactured to meet the high demand of professional binderies, ensuring that your projects requiring tape binding will always turn out great.